There's a fuzzy blob in my fridge! We named her Squishy Honey. What is she? I made simple syrup and refrigerated it. 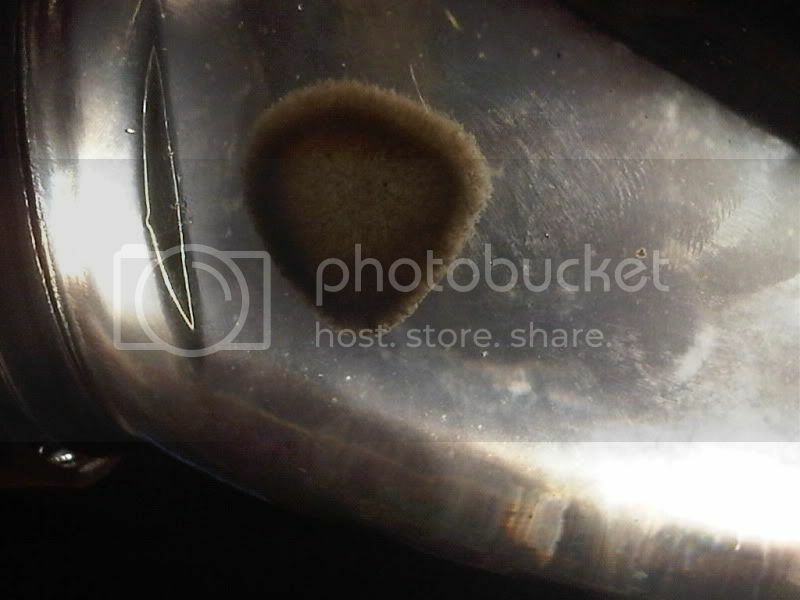 After a few months this small fuzzy translucent gray dime sized blob possibly made of fungus started living in the container. We named her Squishy Honey. Does anyone know what she is or what we can feed her so she grows to be a superstar? It's mold. Throw it out. and put her in front of a poster of Glitter. This is a great blogpost on spoilage times for simple syrup. I think you've already established she likes simple syrup so I think you could just stick with that. And you can't throw her out now that you've named her, so I think you'll be moving that jar house to house for the rest of your life. I vote for a filimentous fungus instead of yeast. Wild isolate of yeast generally do not look as fuzzy as this. Let me guess -- it stays in the center or bottom of the liquid, and the whole thing ossilates/jiggles when shaken? We get them occasionally in the yeast lab that I work in. These guys are quite hardy, so moving them to room temperature is probabhly ok and will make it grow faster. They probably sporulate, so moving it out of the fridge is best. They are fun to watch, though! Yea microbiology! Argh. Second part of your question -- add more simple sugar. Adding anything too rich will contaminate it with other, less fun things.